looking over south central mumbai from one of its high-rises. in the left foreground is the s-bridge that crosses the central railway line. its soon going to be demolished, to be replaced by one of the soulless structures that make up most of the infrastructure built in mumbai today. the green patch to its left is the mumbai zoo and the little building jutting out of the tree cover is the beautiful bhau daji lad museum. 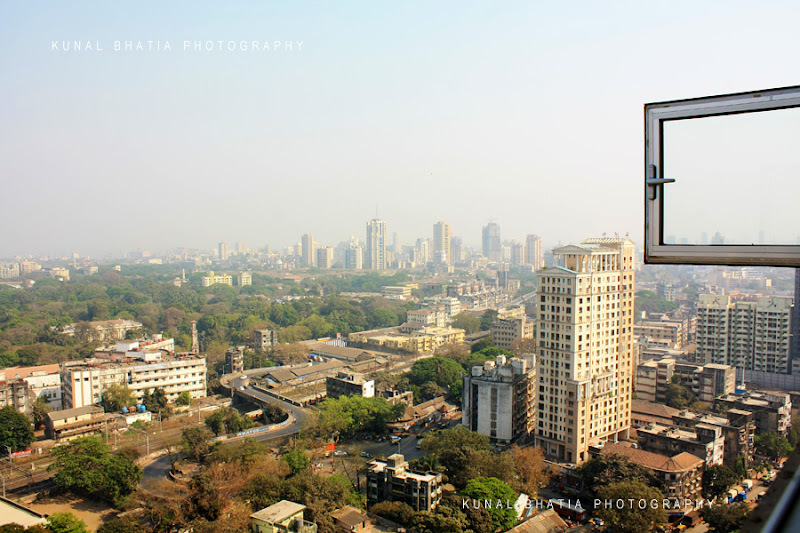 for more mumbai_scapes, click on the "landscape" label.